This product contains a Retinoid – wear an SPF during the day. I have used this on my oncology clients and they have had amazing results! I highly recommend these products to anyone dealing with health compromised skin. 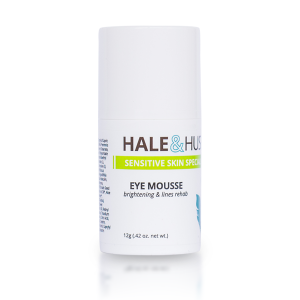 A woman in my office often has dark, puffy circles under her eyes, so I gave her some of your Eye Mousse to try. We were absolutely amazed at the results – in less than a half-hour her dark circles were drastically improved, almost non-existent! Very impressive!!! I love the Eye Mousse. It has really helped minimize the fine lines around my eyes and lips!